• 4 high-quality sieves for separating live food from the transport water. • sieve sizes: 0.15 mm, 0.30 mm, 0.60 mm and 1.00 mm. 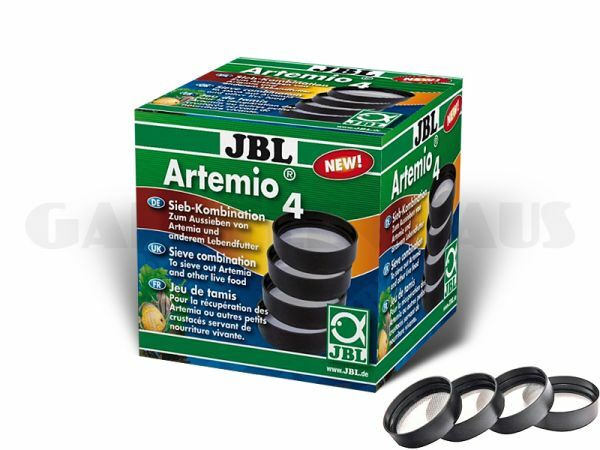 • perfect for brine shrimp, mosquito larvae, tubifex, mysis, daphnia etc. • all the sieves, when used in combination, can separate e.g. daphnia in different sizes for feeding various sizes of fish.